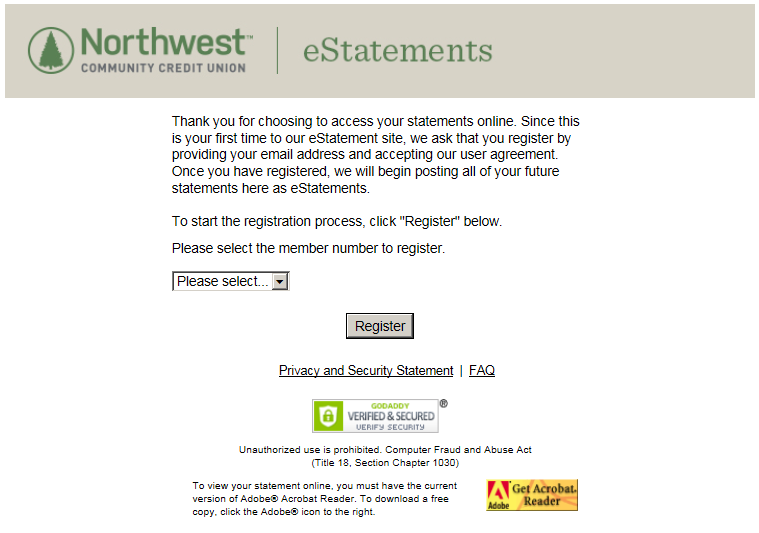 eStatements are your monthly statements from NWCU in a digital format. They include all of the same information as your paper statements. Why sign up for eStatements? Secure. 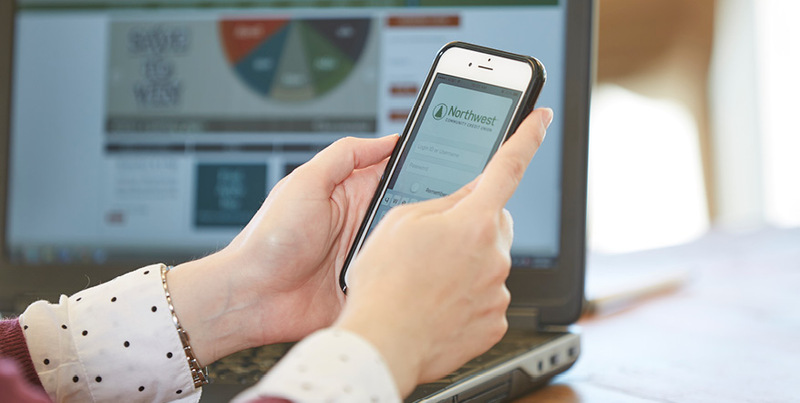 You receive your eStatements through NWCU's online banking access rather than by mail. They'll be in your account and available to view or print out. Environmentally friendly. Signing up for eStatements means that you'll no longer have paper statements mailed to you, so you'll be saving lots of paper. Efficient. eStatements are available online sooner than paper statements through the mail system. You can access your eStatements any time, day or night, and can print them if you'd like. Storing all your statements online makes organizing them much easier--no papers to shred or store! Easy. We provide this convenient, secure service to you at no charge. All you have to do is sign up online! Access to previous statements. Enrolling now provides access to eStatements since January 2018, with each individual statement available to view for 24 months. Earn extra rewards points. Enrolling in eStatements will earn you 500 rewards points on your Northwest Rewards Visa card. Signing up for eStatements is easy. Make sure you're signed up for eBanking. If you're not signed up for eBanking, get signed up now. Note that only primary owners can enroll in eStatements, through their personal login. Check that you have Adobe Acrobat Reader. If you don't have Adobe Acrobat Reader, download it for free. This is what you'll use to view your eStatements. These eStatements apply to your savings, checking, and loans accounts; they do not include credit cards. To sign up for eStatements on your credit cards, see the instructions below. Click on the left menu bar to expand it and select "eStatements/eNotices." The listing for an account to setup for eStatements will appear on the screen. Click or tap on it. The register screen will appear. In the "Please select" box, find your member number, then click on "Register." Your enrollment screen will appear next. Please fill out your First Name, Last Name, Email Address, and then confirm your email address. Once you've filled this out, click "Next." The Document Notification Option screen will appear next. Choose whether you would like to be notified when documents are posted. Selecting "Yes" means that you will receive an email when your monthly statement is ready for you. Finally, read the User Agreement terms, check the box that says, "I have read and agree to the terms outlined above" and click "Finish." Having trouble signing up? Give us a call at (800) 452-9515 and we can help. Once you’re enrolled, you can login and access your eStatements at any time! Once you’re logged in to eBanking or your mobile app, navigate to, “eStatements/eNotices” in the menu and then select your primary savings account. This should take you to a list of visible statement documents. If you’d like to print or download an eStatement, select the statement you want to print or download. Hover over the statement with your mouse cursor, or right-click to generate options to Print or Download to your computer. Read our Electronic Services Agreement.